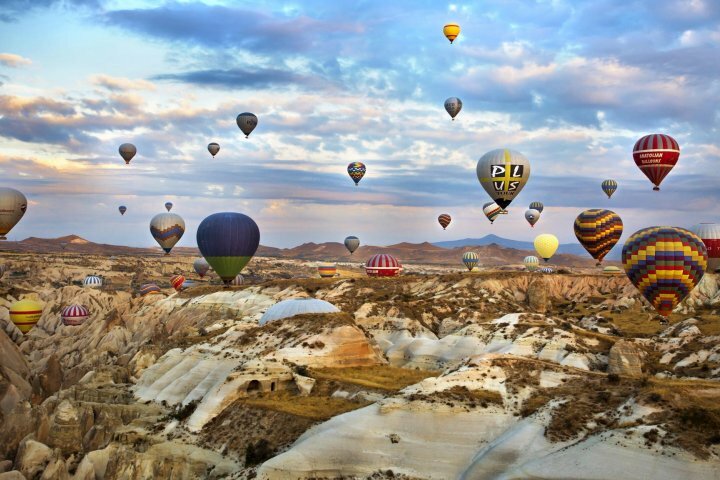 Take to the skies with this fantastic hot air balloon ride. 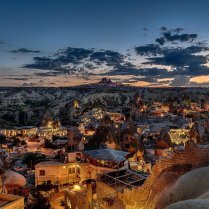 An early start promises that you will begin your day the right way, take off before the sunrise gliding above the varied landscape below until you witness the sun break the horizon casting long shadows from the fairy chimneys and rock landscape below. - Our balloons begin to take off at around sunrise. 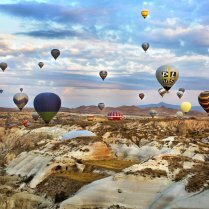 (Times vary depending on what time of the season you are ballooning) Once we take off from the ground, we rise approximately 1000 feet to show you the sun rise and the extraordinary views of Cappadocia. The balloon is broken up into compartments around the edge of the basket thus everyone will have the perfect view of all the sites. 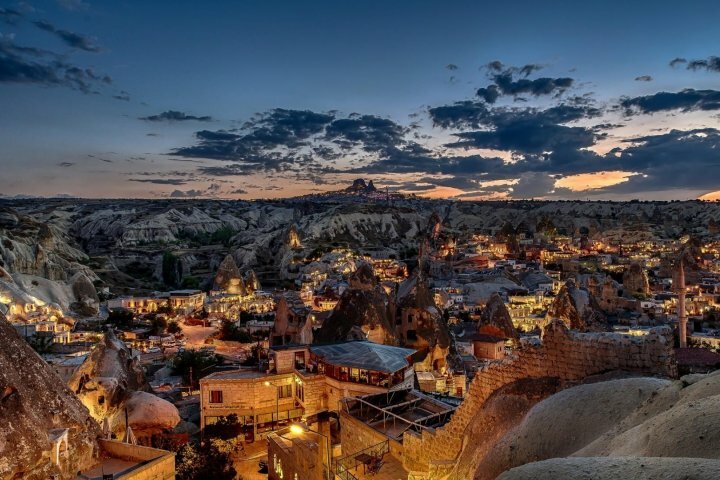 - The balloon will then descend and float through the valleys, between fairy chimneys and caves, have the camera ready - you will never see anything like this in any other place around the world! - The duration of this tour is approximately 1 hour in a standard 16-21 capacity balloon. This is a great option for those travelling on a budget. - Upon landing, we have a champagne toast service waiting for you. At around 7 am, our minibuses will take you back to your hotel / hostel. Your entire balloon adventure lasts about 2,5 hours.